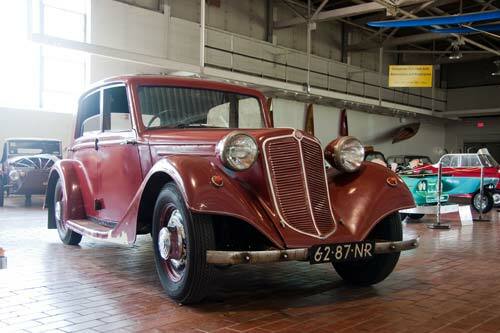 In 1934, Tatra came out with the T-75. It was slightly larger than the T-57, making a 4-door body possible. The motor was also enlarged about 50%, bringing the power up to 30 HP. 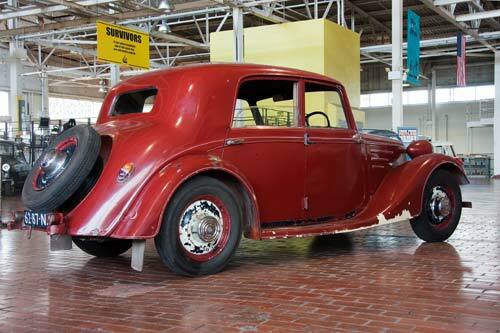 Hydraulic brakes were also added to cope with the larger car and increased power. The T-75 sold in fewer numbers than the T-57 because it was more expensive. Production ceased in 1939 when WWII began, and was never restarted. Now, the amazing story of this car!... In 1934 Josef Lizner bought this T-75 new. Josef lived in Kolin, Czechoslovakia, and was only the second person to own a car in this town. Shortly after purchasing the car Josef married, and drove the car to Switzerland for his honeymoon. At that time cars were very rare in Czechoslovakia, and Josef tells of many children chasing him down the road, as this was the very first car they had seen. Josef lived to be 79, and this is the only car he owned and drove. (Josef died in 1984). Upon his death the car passed to his only child, Milena Nevzilova. Tragically in 1997, Milena, her husband, and two of their children were killed in a car accident in the Czech Republic. The car then passed to the only living family member who was not in the tragic car accident, Irena Alexander. Irena moved to the US in 2002, and although she has never driven the T-75 she remembers riding in it as a child many times with her grandfather, Josef Lizner driving. 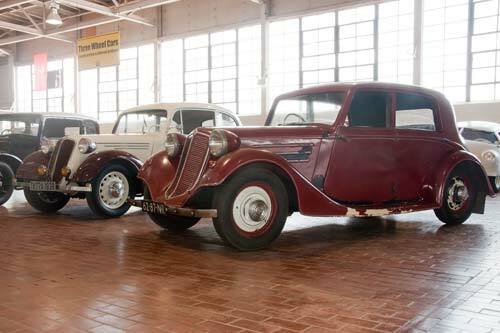 The museum acquired the car in 2012, and it's truly amazing that it has been in one family for 76 years! If you look on the windshield there is a copy of the original bill of sale (translated into English). Some of the wording is very interesting.